The carnage on New Zealand’s roads is continuing, with 326 fatalities last year – seven more than in 2015, and 30 more than in 2014. While the government has attributed the increase in road deaths to the fact that there are more cars on the roads and motorists are travelling greater distances, they have nevertheless earmarked $600 million for improving unsafe roads, especially around the country’s black spots. Of the fatal accidents last year, the Ministry of Transport found 39 percent of the drivers and 42 percent of the passengers who were killed were not wearing seatbelts. That’s astonishing given the effort that’s gone into educating the public about the safety benefits of wearing seatbelts – namely that they reduce the chance of death or serious injury in a crash by 40 to 50 percent, regardless of whether someone is sitting in the front or the back seat of the car. As far as the causes of the accidents are concerned, while one in four of the drivers were going too fast for the conditions, drugs and alcohol were factors in 40 percent of the crashes. Unfortunately, while most motorists are aware of the risks of drinking and driving, many appear to be unaware of the dangers associated with driving under the influence of drugs. In fact a survey of the effects of drugs on driver behaviour undertaken by the New Zealand Drug Foundation in 2009, found that two thirds of cannabis users, nearly half of methamphetamine users, and a quarter of ecstasy users reported driving under the influence. Environmental Science and Research, a Crown Research Institute that specialises in forensic toxicology, analyses blood samples from drivers suspected of driving under the influence of drugs for the Police. In 2010 they carried out a study on 1,046 drivers who had died in crashes over the previous five years, finding that 1 in 3 had drugs in their system – mainly cannabis. Their analysis showed that three quarters of the cannabis drivers who died caused the crash that killed them – and when alcohol and cannabis were mixed together nine out of ten dead drivers were responsible for the crash that killed them. A further study, in 2011, of sober drivers who had been hospitalised after accidents, found 29 percent had potentially impairing drugs in their system. While cannabis users clearly pose a very serious risk on our roads, the drug testing of drivers is rare. Driver drug testing became legal in 2009, through the Land Transport (Enforcement Powers) Amendment Act, which made it an offence to drive while impaired by drugs – whether they are legal drugs, illegal ones, or prescription medicines. Under the Act, the Police have the power to carry out a compulsory impairment test on any driver they suspect of driving under the influence of drugs. This involves checking the eyes of the driver to see whether their pupils are dilated, asking them to walk along a line, do a turn, and stand on one leg. If the test indicates that a driver is impaired, then a blood test will be required to determine whether controlled drugs or prescription medicines are present in their system. The penalties for drug-impaired driving are aligned with those for drink-driving and can involve fines, disqualification from driving, or imprisonment. In reality, because the impairment test requires a trained officer to carry it out, the number of apprehensions for drug driving offences is relatively low. From 2009, when driver drug testing was introduced, to 2015, the number of drug related offences was only 1,683 compared with 195,829 alcohol offences. Many other countries have taken a much tougher approach to driving under the influence of drugs by using roadside drug testing devices. While the New Zealand Transport Agency looked into the use of these in 2012, they advised against them because they considered they weren’t reliable enough. Some parts of Australia introduced roadside drug testing more than a decade ago, and in some states they are now catching more people for drugged driving than for drunk-driving. The United Kingdom introduced roadside drug testing in 2015, with an objective of making drug-driving as socially unacceptable as drink-driving, and they believe their new regime is saving lives. Under the new law, tolerance limits are set at very low levels: for the eight illegal drugs specified (including cannabis, cocaine, and ‘ecstasy’), the limit is essentially ‘zero tolerance’, and for the eight prescription drugs that are also identified (including those that are commonly used for dealing with conditions such as anxiety, insomnia, severe pain and epilepsy), the limits are set above normal prescribed doses. The roadside testing device allows officers to use a swab from inside the driver’s mouth to test for the presence of drugs. While these tests will indicate if a driver has taken cannabis or cocaine, they need to be sent to a laboratory to test for the other substances on the banned list. Motorists convicted of drug-driving under the new law can be prohibited from driving for at least a year, sentenced to a maximum of 12 months in prison, and fined up to £5,000. The penalty for causing death is up to 14 years in jail. Crucially, under the new law, police no longer have to prove that motorists are unfit to drive to secure a conviction – they just have to be found with drug levels above the tolerance limits. The policy in France is zero tolerance towards any trace of illegal narcotics. Police also use roadside saliva drug testing and will routinely test drivers for drugs following accidents or any form of road safety infringement. The penalties for any drivers found to have any trace of illegal drugs in their system are severe, and include jail time and hefty fines. In Germany a zero tolerance for driving under the influence of drugs was introduced in 1998. In the ten years to 2008, 35,000 arrests had been made for drug driving. In Holland there are specific limits for single drugs, with zero tolerance for the combined use of different drugs, or of alcohol and drugs, since the mixing of drugs or of using alcohol and drugs together, is known to strongly increase the risk of serious or fatal road injuries. Roadside testing is also used. According to the makers of some of the roadside drug testing machines that are on the market, these devices are being used or evaluated by the police forces of an increasing number of countries around the world including Australia, United States, Canada, UK, Ireland, Italy, Spain, France, Germany, the Netherlands, Belgium, Poland, Czech Republic, Slovakia, Singapore, Saudi Arabia, Vietnam, Romania, and Croatia. While New Zealand prides itself on being at the leading edge of technological advancements, in this area, we are lagging woefully behind. “No one would be happy to know that the driver heading towards them on the road was drunk. That’s why we use a lot of Police time and taxpayer’s money to try and keep drunk drivers off our roads. But what about if the driver heading towards you was stoned instead? “The reality is that right now there is very little stopping someone from using drugs and then getting behind the wheel and the Automobile Association thinks that needs to change. While the Government might argue that $2 million or so is being spent annually by the New Zealand Transport Agency on social media and public service television advertisements in order to change attitudes towards the use of drugs while driving, there is no doubt at all that the roadside testing called for by the AA would be far more effective. By increasing the likelihood of being caught, roadside drug testing would provide a far greater deterrent to drugged driving than presently exists. Late last year newspapers reported that the Government may be considering a new testing regime to catch drug-impaired drivers. According to the former Associate Minister of Transport, Craig Foss, a proposal was being taken to the Cabinet outlining the findings of a new Transport Agency study. While testing technology has significantly improved since 2012, when roadside testing was last considered by the Government, it is understood that the saliva tests they are now considering will take up to five minutes – much longer than alcohol breathalysers. As a result, Police are only likely to use the tests if they suspect that a driver is under the influence of drugs. As well as many cannabis users appearing to be oblivious to the danger of driving under the influence of the drug – especially when used in combination with other drugs or alcohol – many also appear to be unaware of the very serious health risks. In 2014, the Director of the Medical Research Institute of New Zealand, Professor Richard Beasley, a physician at the Capital and Coast District Health Board and a Professor at the Universities of Otago, Canterbury, and Southampton, wrote an article for the NZCPR pointing out that the research shows that smoking cannabis is far more harmful to human health than smoking tobacco cigarettes. In terms of cancer risk, he explained that smoking one cannabis joint is the equivalent of smoking 20 cigarettes, and in terms of the risk of lung disease, smoking one cannabis joint is the equivalent of smoking up to 5 cigarettes. In addition, Professor Wayne Hall, a leading expert in addiction at King’s College in London and an adviser to the World Health Organisation has found that one in six teenagers who regularly smoke cannabis become dependent on it – as do one in ten regular adult users; that cannabis doubles the risk of psychosis and schizophrenia; that it frequently becomes a gateway to hard drug use; and that driving after smoking cannabis doubles the risk of a car crash – with the risk heightened even further if the driver has also drunk alcohol. The reason for this has been well documented. Tests on the effects of drug use on driver behaviour show, that for cannabis users in particular, the detrimental effects on highly automatic driving functions are far more pronounced, than on complex tasks that require conscious control. The reason, it appears, is that many cannabis smokers try to compensate for their impairment by using a variety of behavioural strategies – such as driving more slowly, passing less often, or leaving more distance between themselves and the cars in front. This is the opposite pattern from that seen with alcohol impairment, where automatic responses are less affected than more complex driving tasks. However, when cannabis is combined with alcohol, the result is the worst of all outcomes, since the alcohol prevents drivers from coping with the more complex tasks, while cannabis prevents them from dealing effectively with the more automatic functions. In addition, the two taken together, may lead to a lack of attention regarding the use of seatbelts. There is a further problem in that the combination of drugs and alcohol can create extremely serious impairment at quite low drug and alcohol levels, that on their own may be relatively insignificant. As a result, such seriously impaired drivers are unlikely to be detected by Police – unless a zero tolerance limit is set for drugs. Cannabis is clearly a very dangerous drug, especially when used by motorists. The sooner our Government catches up with what most other western countries are doing, and introduces roadside drug testing devices, the better. When they do road safety will improve and deaths on our roads will be reduced. Those who have a “it will never happen to me” attitude, need a very sharp reminder, that yes, it can happen to them, and that their recklessness can kill others. 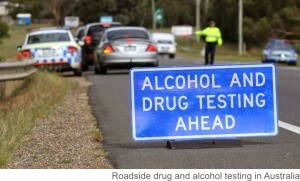 Do you support the introduction of roadside drug testing devices in New Zealand? But remember, drugs are another tool, along with P C in the dumb down process required by the socialist brigade. Still don’t believe National sits smugly in that camp?.. A.G.R.